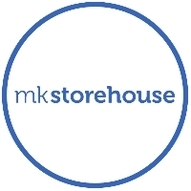 MK Storehouse has been setup by the Grand Union Vineyard Church in Milton Keynes. We provide donated clothing for adults and for children of school age upwards free of charge to families and individuals who are in need and have been referred to us. We aim to show that we care and we want to provide support to those in need by offering a listening ear and by signposting where appropriate. We work closely in partnership with other charities and agencies to achieve this. Where there is a need, we sometimes pass on donated clothing to these charities and agencies. Most of the clothing we pass on goes to those in need in Milton Keynes and surrounding areas, although we do sometimes send clothing further afield. Clothes that are not suitable for MK Storehouse's use are recycled and sometimes we may receive payment for the recycled items. All money received from recycling is paid straight to MK Storehouse, a not-for-profit organisation. People often think of clothing as that is the main thing we need (which of course, is essential) but this is generally well serviced. Actually, one of the largest needs we have at the moment is for vitals funds to keep the charity running and reach the hundreds of men, women and children we do every year. In fact, Community Foundation have just released a report highlighting that the number of children living in poverty in Milton Keynes has increased from 1 in 5 to 1 in 4! This breaks our hearts and shows us the need is bigger than ever. We would LOVE to reach so many more of these children, families and adults struggling to support themselves. With this in mind here are some ideas on how you could help. If you would like to discuss any ideas, please do get in touch below. Are you a corporate? There are specific things that we need like computers, databases, a van etc. Could you contribute financially or sponsor some of these projects? Can we be your charity partner of the year? To make a donation now, ple​ase follow this link. Thank you! We are overwhelmed by the generosity of people in Milton Keynes! We are currently at capacity with ladies clothing and school uniform so will need to pause donations of these items for a few months and will let you know when we can receive these again. There are certain items that we are low on though including MEN's casual clothing and we would be so grateful if you could focus your donations on these items. Many of our guests have been through so much, so please help us bless them be giving them good condition clothing. We have limited opening hours so please check the dates and times below before coming to see us. ​If the MK Storehouse is closed please do not leave donations outside as they may be damaged by the weather and may not then be usable. We have sessions for clothes sorting, general tidying and cleaning of the building. We also sometimes need people with large cars and strong muscles to help us move donations around. Do get in touch if you'd like to be notified when these are taking place and what you would be happy doing. If you are a local authority, charity, faith organisation or if you are a professional working in care, health or education, you can refer to MK Storehouse individuals or families in need who you have come into contact with. If you wish to refer anyone then please contact us and we will discuss this with you and supply the necessary information and Referral Form. How Do Get I Referred? If they are unsure of how to refer, please ask them to contact us via the contact form below, using their company/ charity email address. ​Rd, 100m from our door. Date: We are open term time on a Thursday. The 4th April will be our last session until 25th April. We are pleased to announce that we will be opening our doors for anyone who would love to come for a coffee, cake and chat. We will be doing this the first term time Thursday of every month 12pm-1pm unless stated otherwise. No referral needed! All welcome. Please note that clothing won’t be available during this time. ​We will respond to you as soon as we can but please note that we do not have full time cover. 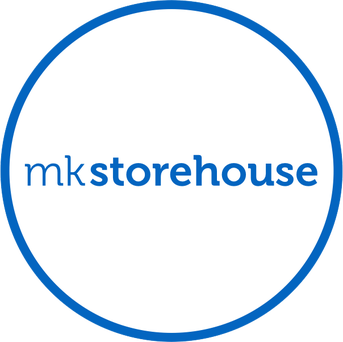 ​If you would like to invest in the work of MK Storehouse and help us reach even more people who desperately need help, then click this button to give today... Thank you! The Grand Union Vineyard Church contributes to the running costs of the MK Storehouse. ​The MK Community Foundation awarded a grant to contribute to the running costs of the MK Storehouse in 2017. Pictons Solicitors are supporting MK Storehouse and are helping us to raise further funding.